As we enter the hottest days of the summer, it’s time to break out the stylish coasters at your next BBQ, pool party or get together. 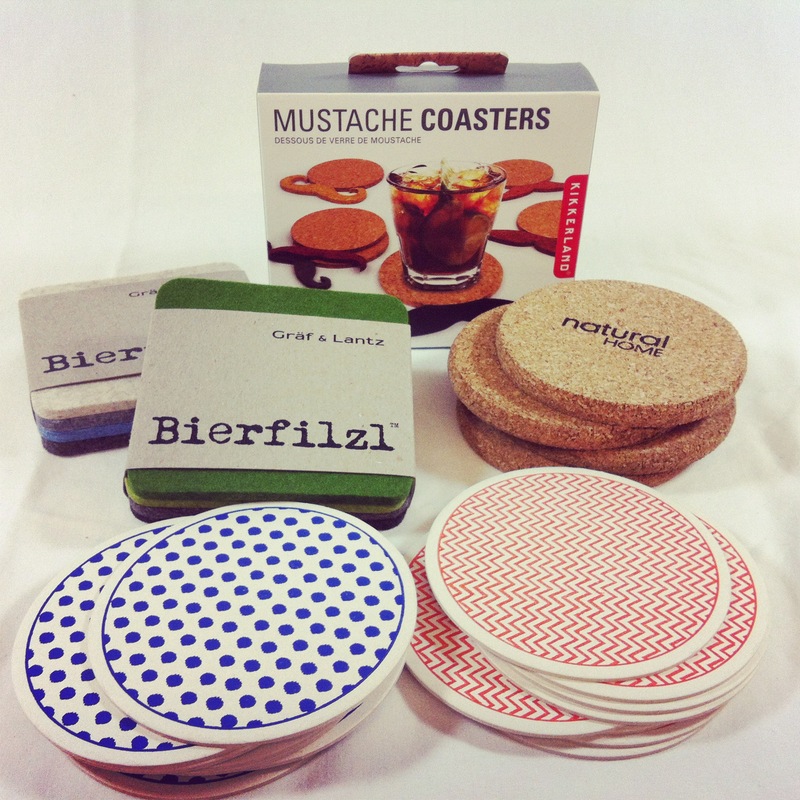 We’ve got traditional Bierfilzls, coasters made from felted wool that is then dyed beautiful hues, Sesame Letterpress’ hand pressed paper coasters with fun and playful designs, cork coasters from Natural Home, the same company that brings us Natural Home Magazine, and finally, Kikkerland’s always irreverent and on trend mustache coasters, also made from cork. Next time you’re picking up a 6 pack of beer or even just a 6 pack of ginger beer, make sure you check out the coasters we’ve got to go with them. They’re sure to make drinking more fun.